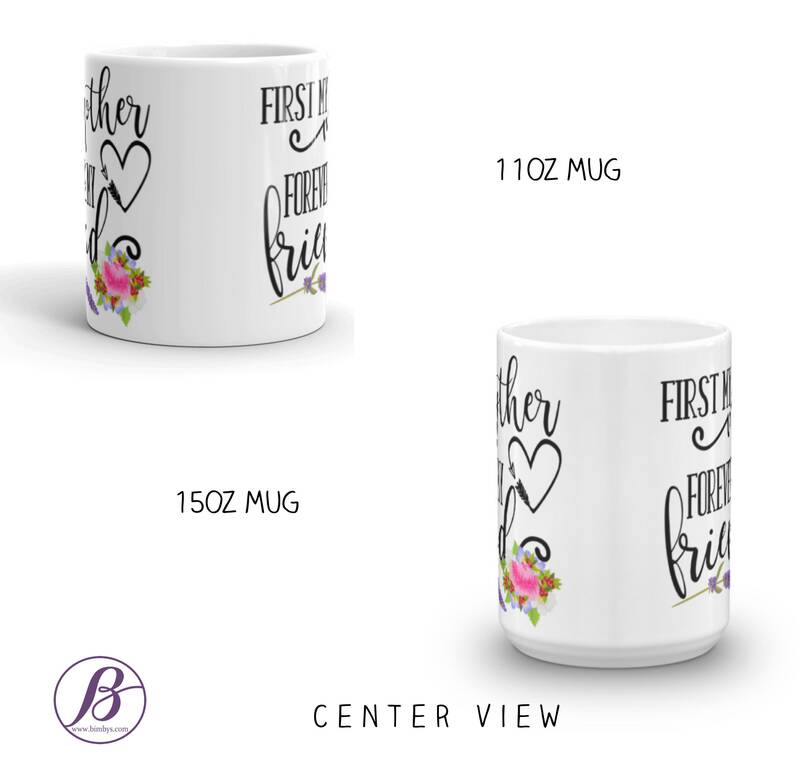 Make your mom smile on her special day with our elegant gifts designed for moms. 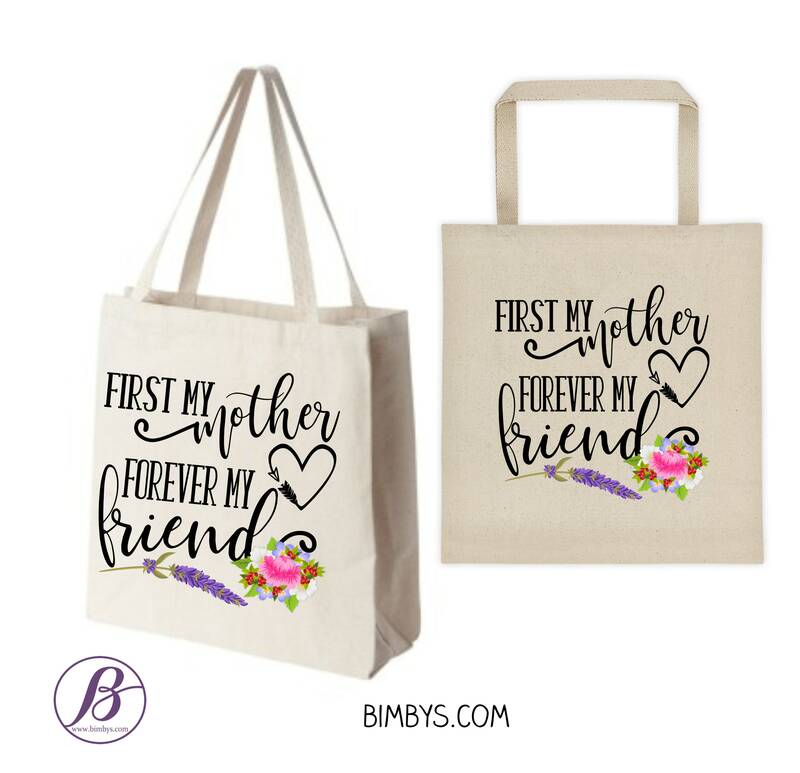 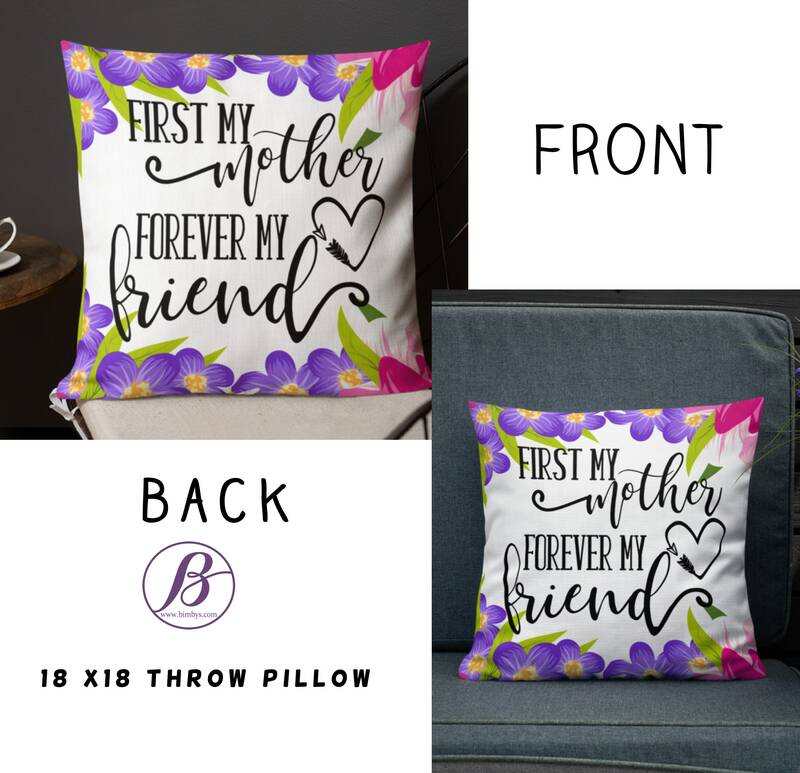 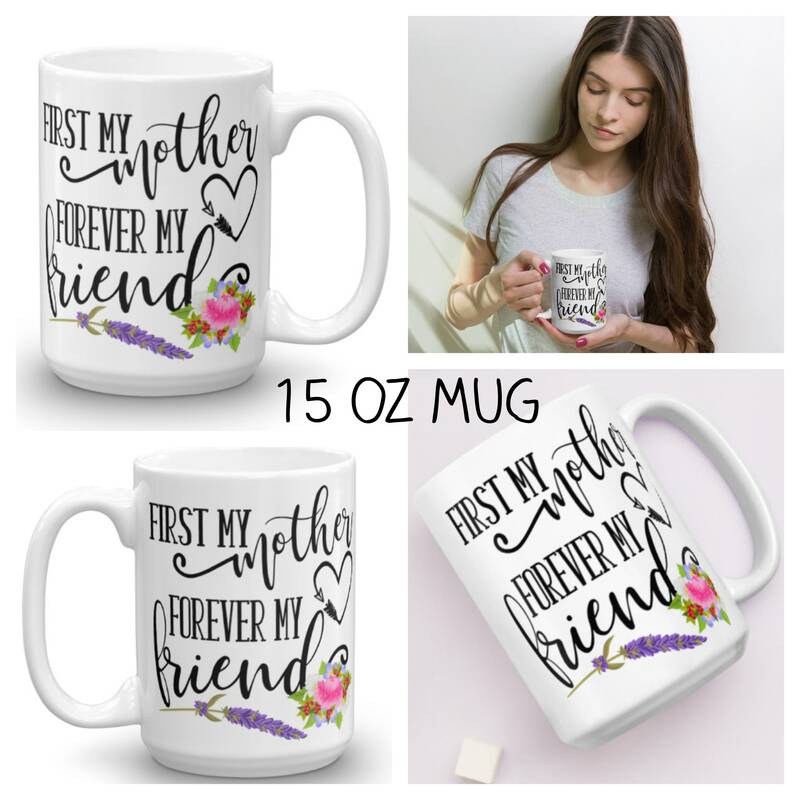 Design features a bright floral design with quote "First my mother, forever my friend." 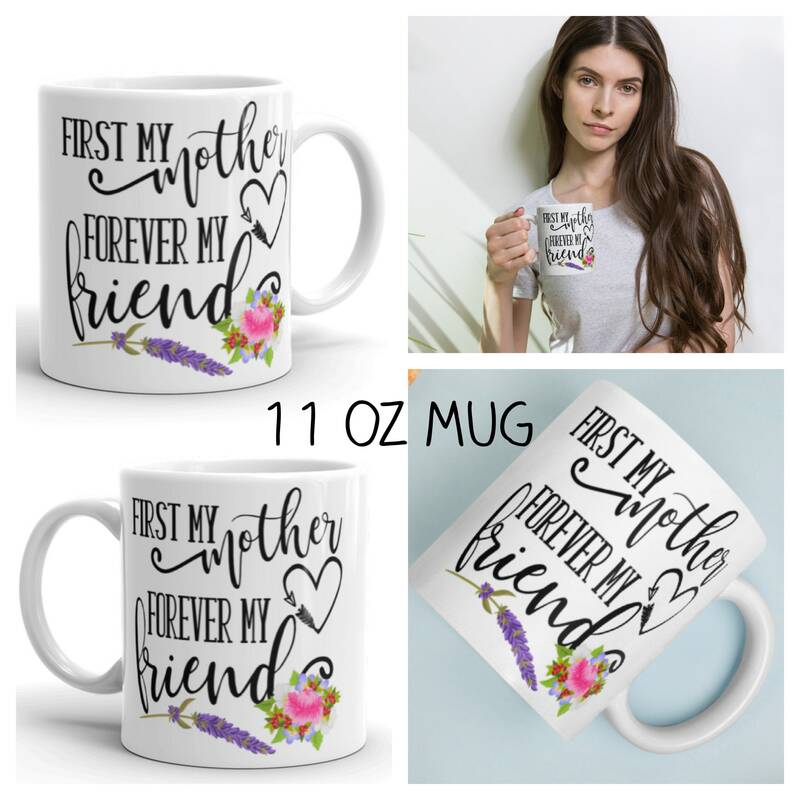 A great appreciation gift for a very special woman in our lives. 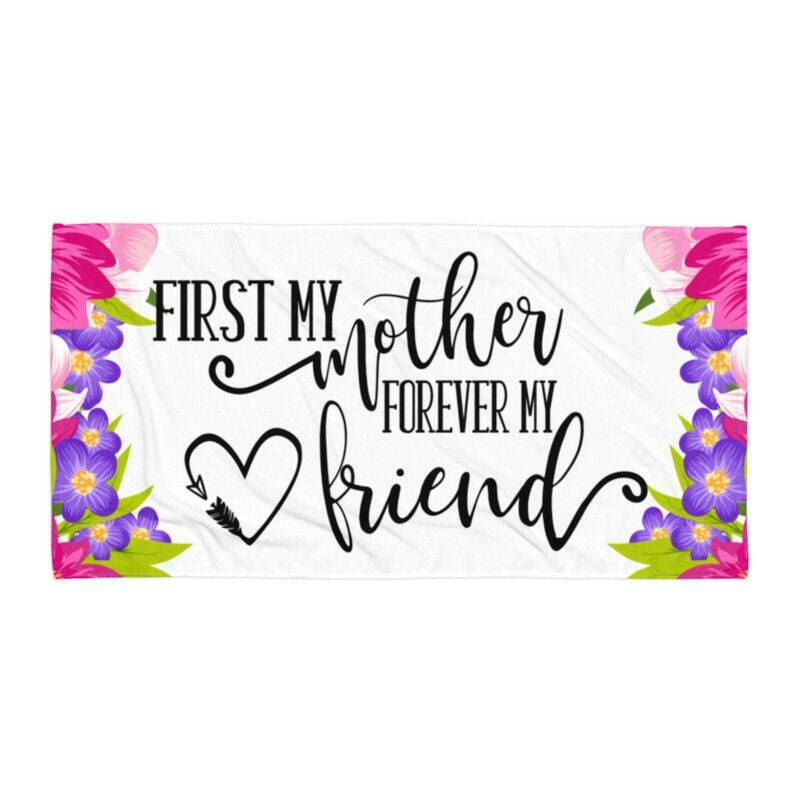 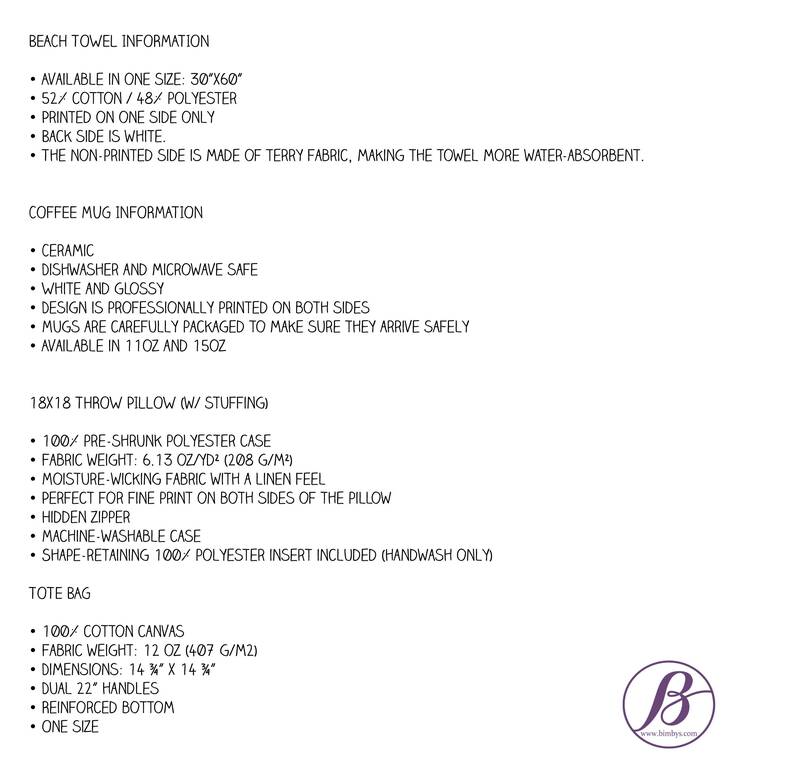 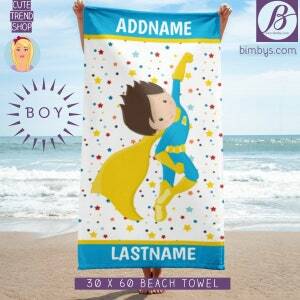 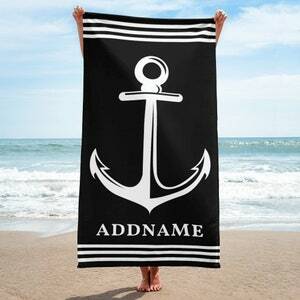 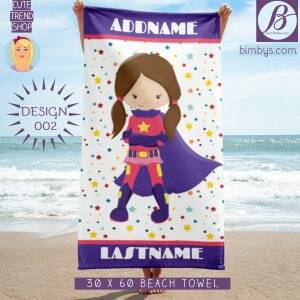 Available in beach towel, coffee mugs, throw pillow, and tote bag.